The list of games with Xbox One X Enhanced support grows larger with Fable II, Fable III, and three different Splinter Cell games. Announced during Season 2 Episode 3 of Inside Xbox, a slew of older games are making their way to Xbox One’s backwards compatibility program, all of which will include Xbox One X Enhanced support. 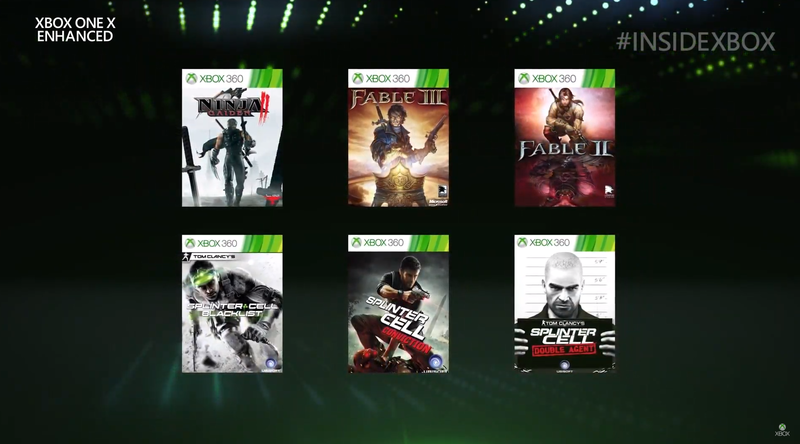 The six big games joining the backwards compatibility list this time around include hits like Fable II, Fable II, and three of last generations Splinter Cell games, Splinter Cell Double Agent, Splinter Cell Conviction, and Splinter Cell Blacklist. Alongside these five titles, hit brawler Ninja Gaiden II also joins the list of games getting Xbox One X Enhanced support. Originally released for the Xbox 360, both Fable II and Fable III are action role-playing games set in massive open worlds. 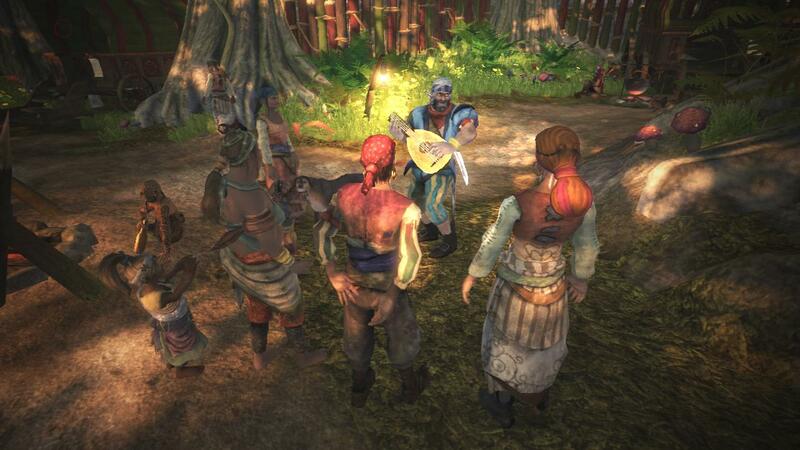 Developed by Lionhead Studios, the games were some of the Xbox system’s more prolific RPGs. Focusing heavily on good vs evil and the choices that heroes must make, the series has long been a favorite of mine, so it’s nice to see it getting some love despite the lack of any real continuation since Fable III’s release back in 2010. It’s not really surprising to see Double Agent, Conviction, and Blacklist getting some love with their additions to the list, either. All three games are solid additions to the Tom Clancy’s brand, and each one offered a fantastic stealth experience that I spent many hours playing through. Of course, the entire point of Xbox One X Enhanced is to use the assets and graphics already available in the game, but to offer a better performing product thanks to the more powerful technology in the Xbox One X. Of course, these are just the latest games to make the jump to the Xbox One X Enhanced list, and we’re sure that Microsoft will continue to add more great titles to this list. For more info on the latest news from Inside Xbox, be sure to head over to our Xbox home page. You’ll also want to follow Shacknews on Twitter to stay up to date with all the latest breaking news, guides, and other information surrounding the gaming industry.